Termites are a particular pest in Queensland. 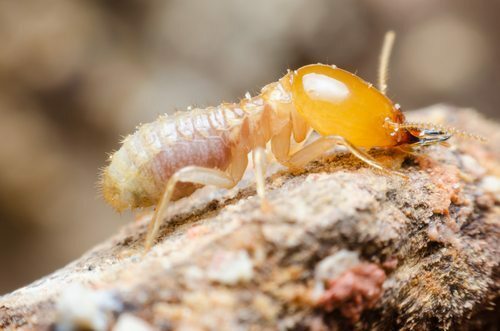 Studies by industry experts and the CSIRO indicate that 30% of homes will suffer termite attacks and/or damage during the lifetime of the home. Termites spread quickly and can do immense damage – sometimes destroying roofs, walls, and floors within twelve weeks. Summertime is even worse than usual for termites – in particular with the Queensland climate. In spring and early summer teenage “scout” termites spread to develop new colonies. Humid summer conditions can match the inside temperature of a termite nest – creating ideal conditions for termites to spread. Termites are a genuine threat to your home in summer, so the team at AGJ Pest Management wants you to be prepared. So here’s a guide on how to know if you have termites, and what to do about it. How to Know if You Have Termites? ‘Swarming’ termites are termites spreading to begin new colonies. The best time to check for their presence around your property is a humid summer’s evening – after a thunderstorm. If fluttering insects with four wings all the same size (generally over 10mm long) are buzzing around your outside lights then you’re witnessing termites looking for a place to go. The more there are, the closer the colony, and the greater the indication that you have a problem. You may be able to follow their flight path with a torch to nearby nests – and you should check nearby trees and wooden structures for evidence of their inhabitation. If you live in Queensland, then it’s highly recommended that you have an annual termite/general pest inspection. But it’s crucial to get an inspection immediately if you have found evidence of termites around your home. In addition to our pre-construction termite treatments (for those taking a proactive approach when building a new home) we offer a chemical termite barrier. The chemical termite barrier has a proven record as the most effective means of protection against termites. Unlike non-chemical treatments, the chemical barrier provides a contiguous and total barrier of protection for the entire home. We guarantee that the chemical termite barrier will last for five years, provided that the yearly maintenance program is adhered to. Find out more details as to how it works here. Termites move fast and can do considerable damage very quickly. Protect your home this summer with a proactive approach by contacting the experts at AGJ Pest Management today to get a quote.